A Texas resident was recently pulled over for a traffic violation, with some reports indicating he ran a red light and other reports indicating he had run a stop sign. When the driver was pulled over, field sobriety tests were administered to determine if he was impaired. The Austin Police Department indicates that the Texas man “swayed,” and “needed his arms for balance,” which were signs of potential impairment caused by either alcohol or drugs. Despite the man’s insistence that he had only had one drink, he was arrested for driving while impaired. He agreed to give a blood sample and submitted to a breath test. The Breathalyzer showed that he had a blood-alcohol content (BAC) of 0.00. The blood test would also later come back 100 percent negative, indicating he was sober. Despite the breath test results and the fact that he said he wasn’t drunk, Yahoo News reports that the Texas man spent the night in jail because of his alleged drunk driving crime. The case is a terrible example of what can happen when police and prosecutors are overzealous in trying to identify intoxicated drivers. It is also an illustration of the importance of having a Houston DUI defense lawyer representing you. Zero tolerance and the “take no chances” rule are a response to the political pressures to ensure that as few drunk people as possible are on the road and Travis County is far from the only place where overzealous legal action occurs. 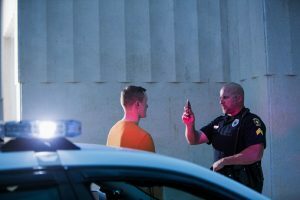 USA Today reports that April is Alcohol Awareness Month, and there are frequently both state and national campaigns where police are encouraged to step up enforcement and crack down on impaired motorists. The result is that police may sometimes feel a lot of pressure to make arrests and innocent people are caught in this effort. The Texas man who was unjustly arrested, for example, will now spend the next few months fighting to get his record cleared. Those who are arrested have to deal with the consequences. Innocent people could end up pleading guilty to drunk driving charges even if there is not sufficient evidence to convict them. If you don’t have a lawyer to advise you on whether the charges against you are likely to hold up in court or you don’t have a lawyer to defend you from weak charges, you could actually face a drunk driving conviction even if you were not impaired. It is up to you to protect your rights. You need an attorney who can help you.